I mentioned in my last post that while I was on site at Lane’s End Farm "life got even sweeter". Well, that's because I got the opportunity to photograph Sweet Life, dam of Life Is Sweet, and champion Sweet Catomine. 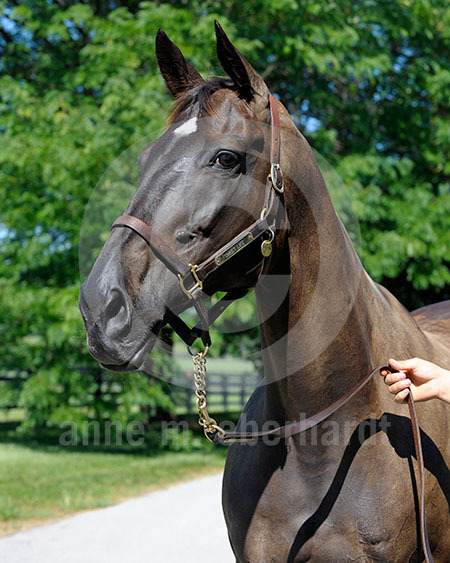 Sweet Life was named the 2009 Broodmare of the Year, so it was quite an honor. Sweet Life and her buddy Perfectly Pretty were being brought into the barn for grooming. Perfectly Pretty came out for the photo session to keep Sweet Life relaxed and was just out of picture range. Perfectly Pretty is the dam of grade I winner Idiot Proof. 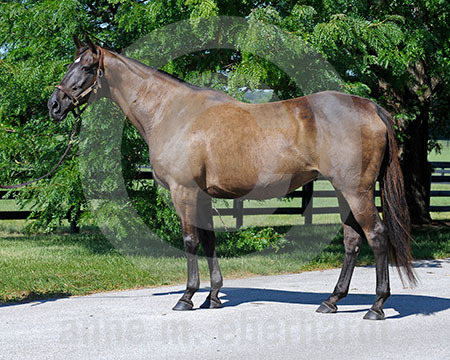 In foal to Street Cry and due in February, the 16-year-old Sweet Life looked good. 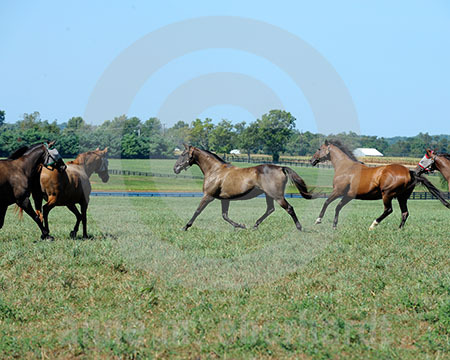 After the photo shoot, the two mares were lead back to their field. 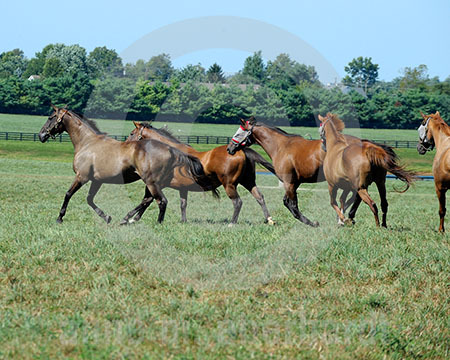 Mares in the field came up as Sweet Life and Perfectly Pretty approached. By watching their movements it appeared that Sweet Life was the leader of this broodmare band and her handlers confirmed that observation. Perfectly Pretty and the other mares followed Sweet Life as she trotted and then galloped off into the field. For our weekly print edition of The Blood-Horse, I photographed “Shortlisters” for a feature article by Deirdre (Dede) Biles. Look for it in the September 4 issue. A hardworking group of people, Shortlisters are an important part of the equation during horse auctions. I think you guys will really enjoy some of the sites I was able to capture for this piece and I will share them next week. 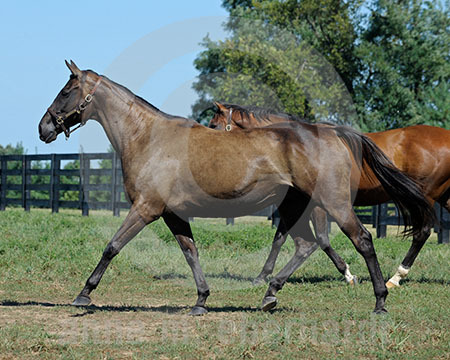 In the meantime, here is one more of Sweet Life and the other mares at Lane's End. Thanks for all your great feedback and look for visits with other mares soon. It is always great to catch up with these wonderful horses. Your suggestions have been great! Keep them coming! 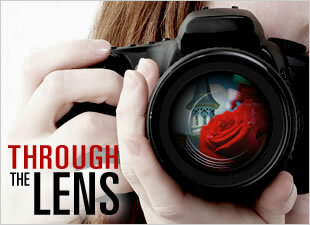 I'll keep photographing.